Watch full Star vs. the Forces of Evil Season 2 Episode 20 full HD online. Cartoon video Star vs. the Forces of Evil Episode 33 online for free in HD. After she destroys the statue of Echo Creek High’s mascot, Star must find a way to cheer up the students again. / Star surprises Marco with tickets to a Love Sentence concert, but also invites Jackie. When Star and Jackie start having fun together, Marco starts to feel jealous and wants them to go on without him, but Jackie convinces him otherwise. At the concert Jackie and Marco engage in a kiss, which results in Star running off out of jealousy. 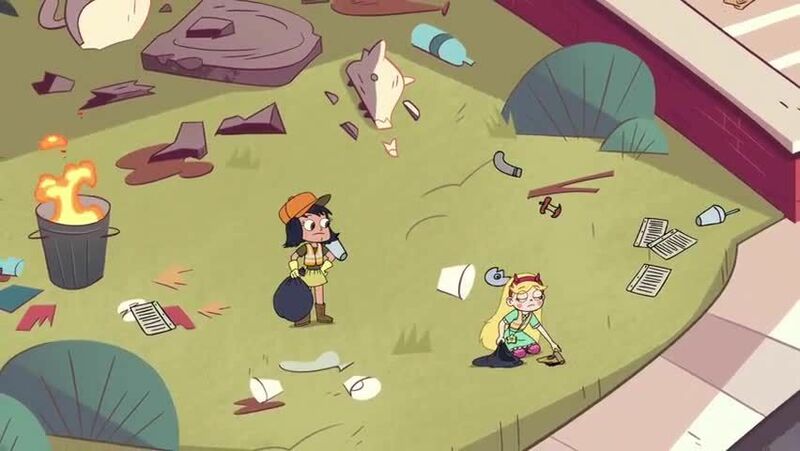 As Star leaves the concert, she fires a blast of tainted magic, destroying a billboard. Star vs. the Forces of Evil Season 3 Episode 17 – Is Another Mystery / Marco Jr.
Star vs. the Forces of Evil Season 3 Episode 16 – Butterfly Trap / Ludo, Where Art Thou?